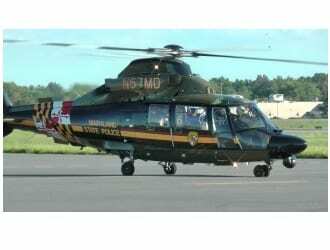 A Maryland State Police Medevac chopper is headed to the scene of a major accident along northbound Interstate 95. The crash took place at around 9:30 a.m. on Wednesday morning just below the Baltimore/Harford County line just prior to the Mountain Road exit, according to the Joppa-Magnolia Volunteer Fire Company. One vehicle overturned in the crash and at least one person was critically injured. All northbound lanes of I-95 are now shut down.